Make high quality music on the road with your favourite soundfonts. 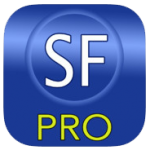 SoundFont Pro is the next generation soundfont player with a host of features that make your existing soundfonts sound like you have never heard them before. Record your music as well as vocals and share them from anywhere you are. You can overdub repeatedly in a non-destructive manner and build your composition over time. SoundFont Pro is equally suitable for studio use as well as for live gigs. SoundFont Pro is multi-timbral, multi-layered, and multi-zonal. This means that you can take an ordinary MIDI keyboard and assign key-ranges on the keyboard to different presets from different soundfonts and play the resulting arrangement much as you would play an arranger keyboard! Or set up different zones and assign input MIDI channels to receive MIDI from an external controller or from another MIDI app to specific zones. 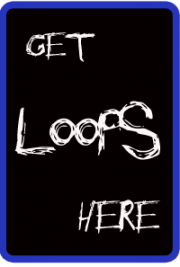 The app comes with a selection of soundfonts. In addition to these, you can add user soundfonts from thousands of freely available soundfonts on the web as well. • Live Effects with the Modulation Grid. The effects include Pitch Shifter, Bit Crusher, Phasor, Flanger, Tremolo, Stereo Chorus, and Auto Pan. • Freely modulate while playing/recording to get some amazing sounds and effects. • All the Live Effects are available while you are recording your voice as well!